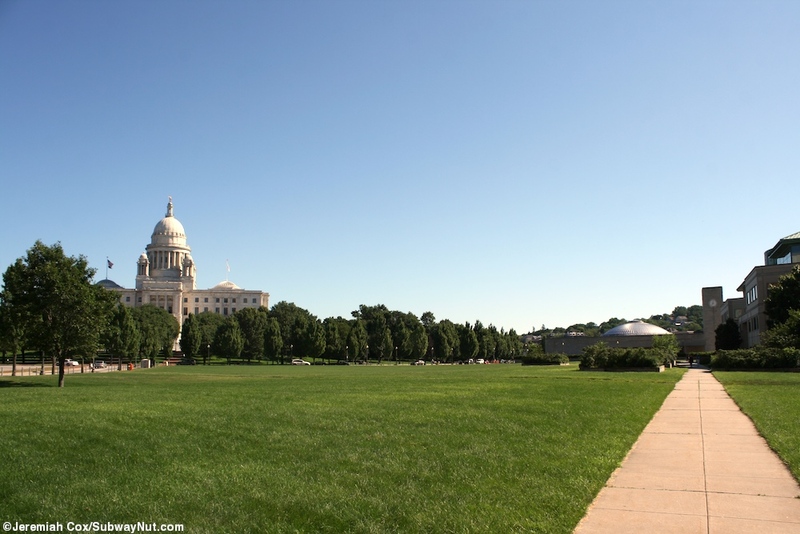 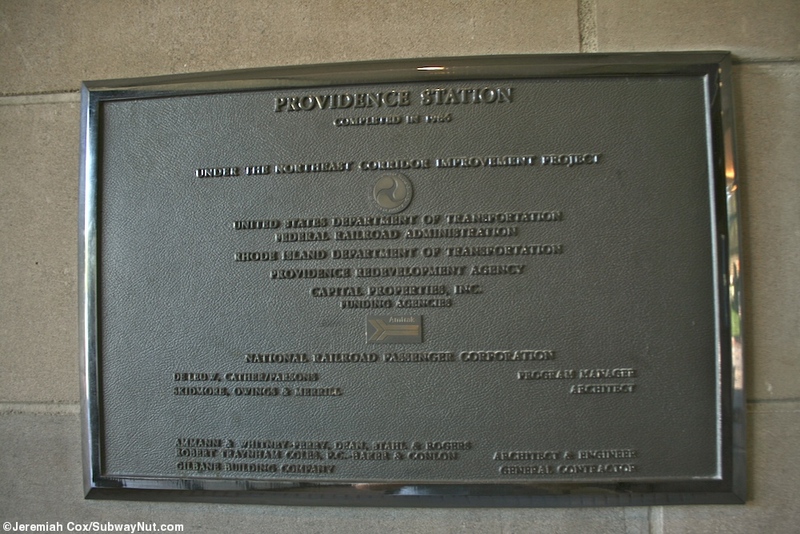 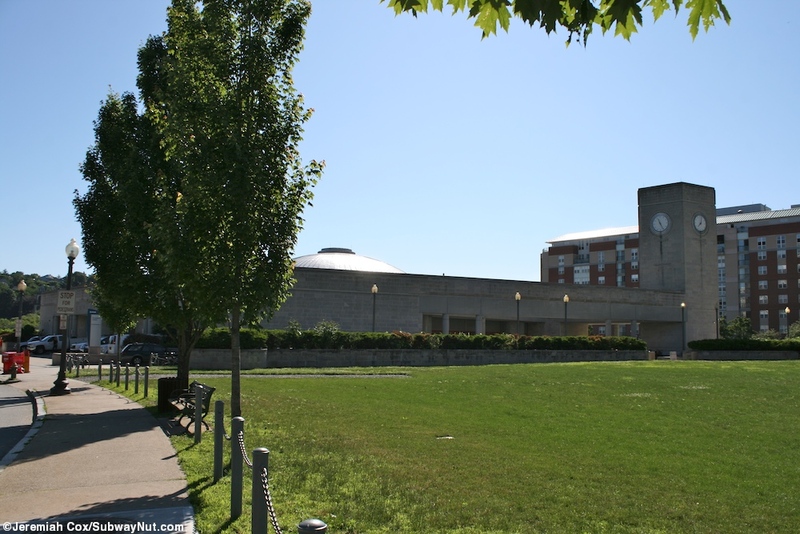 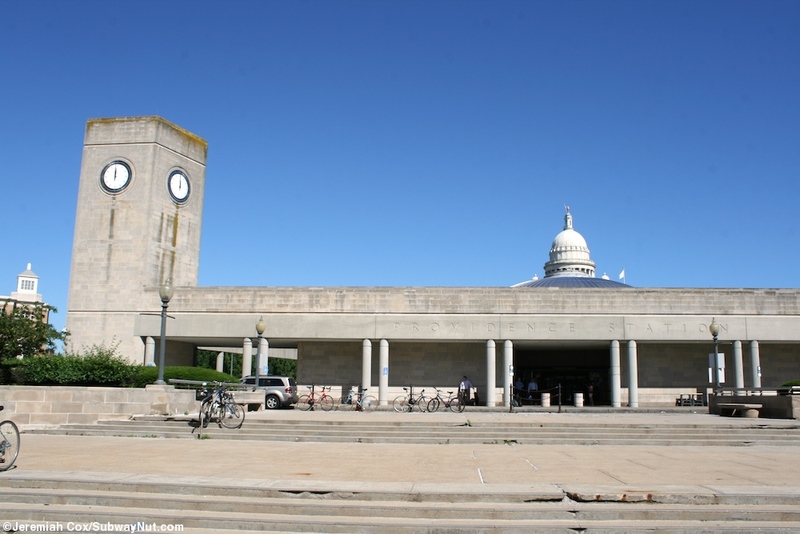 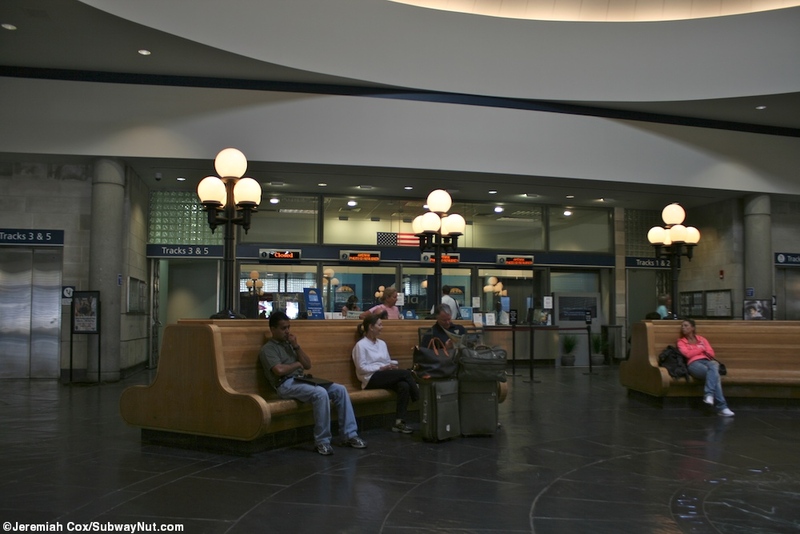 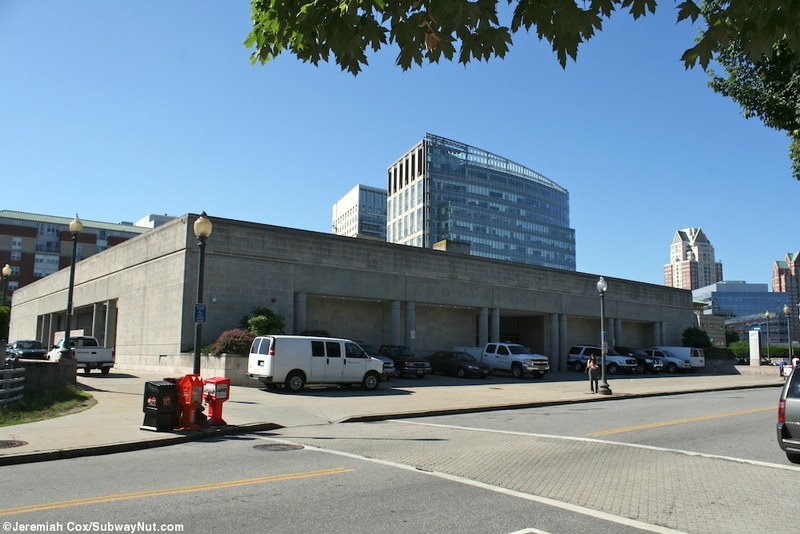 The Providence, RI Amtrak/MBTA Station is located in a plaza (with the tracks in a tunnel beneath) across the street from the Rhone Island State House. 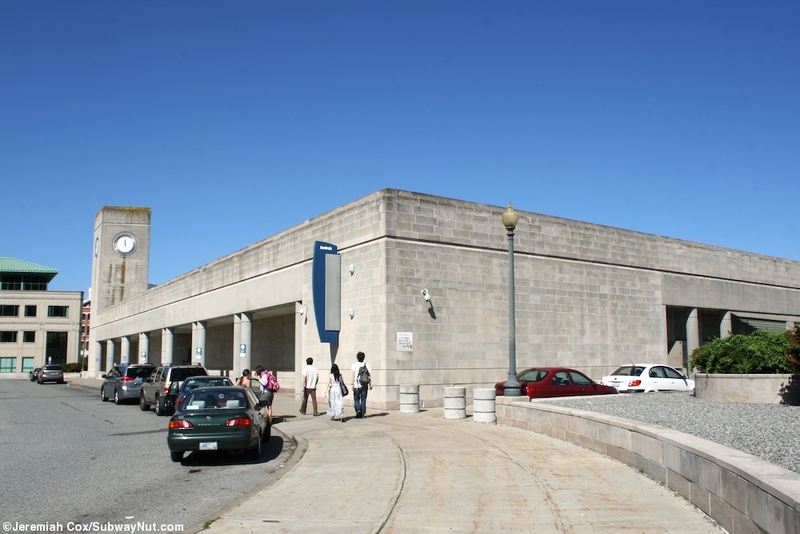 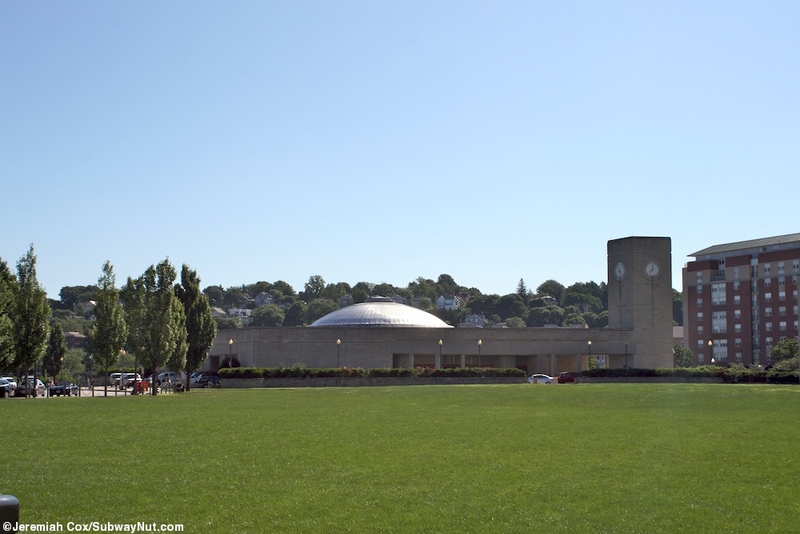 It is a single-story low concrete structure completed in the 1980s. 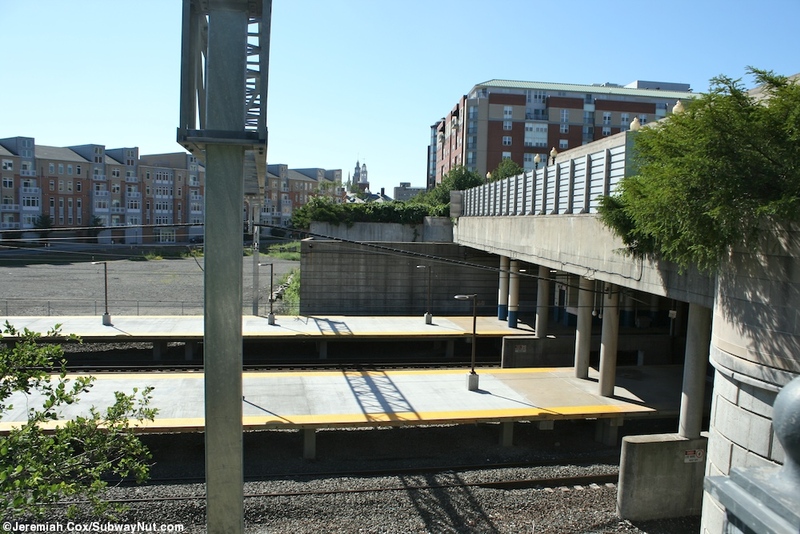 Offset from the street, one exit leads to small parking lot for Amtrak Service vehicles along Gaspee Street. 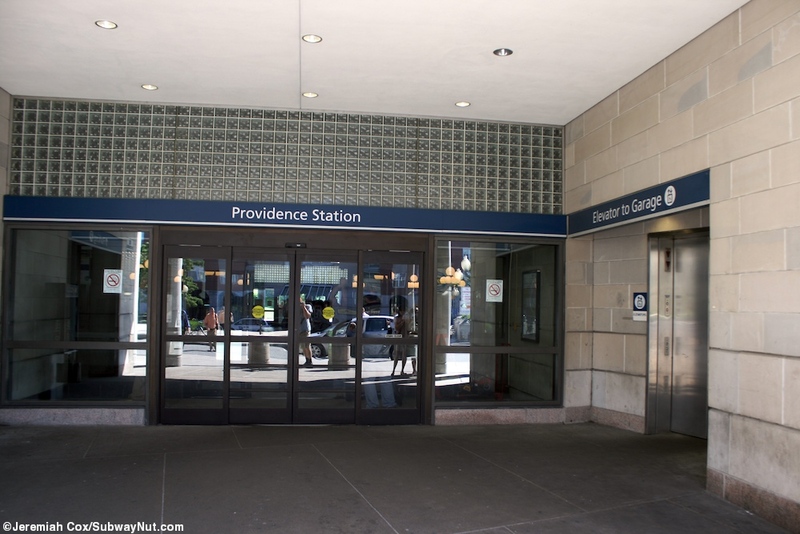 The otherside and exit has a traffic-loop for passenger pick-up and drop off above a parking garage, it is signed for Providence Place Mall. 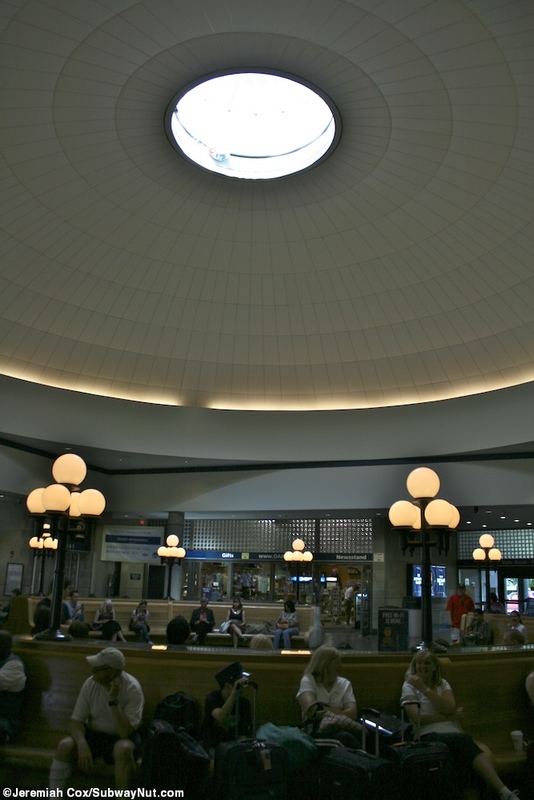 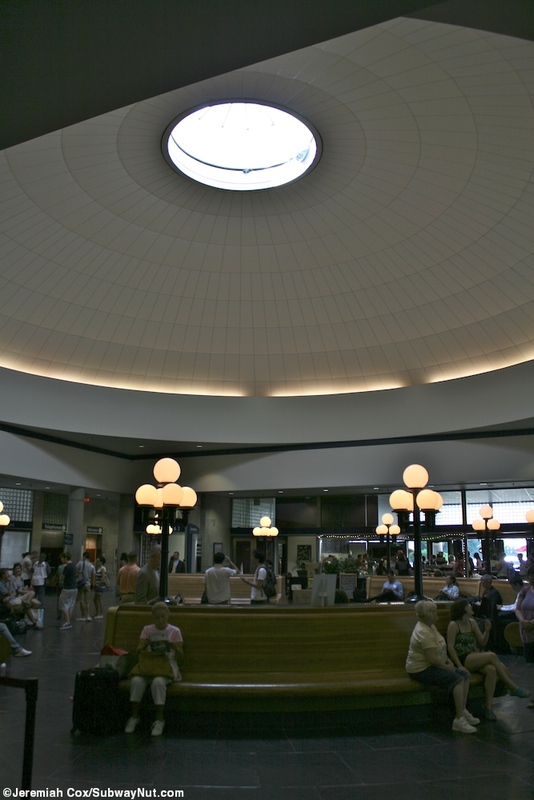 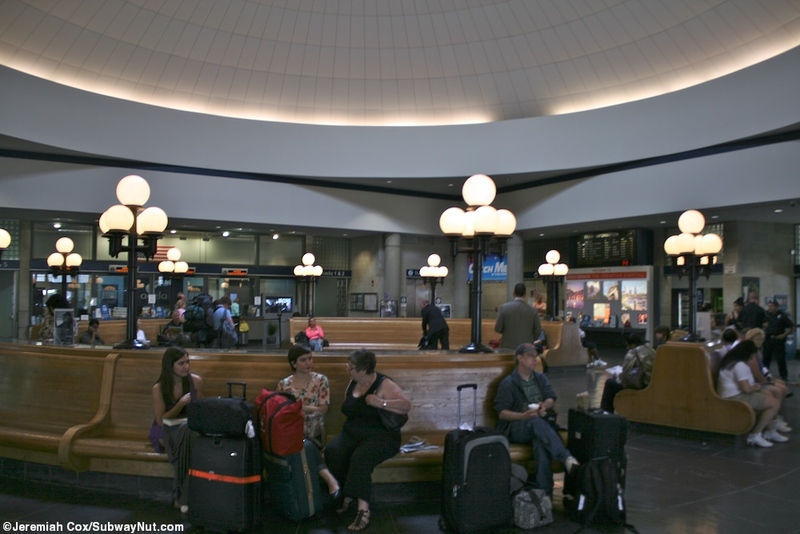 The main station area is circular with a skylight in the middle as a main focal point. 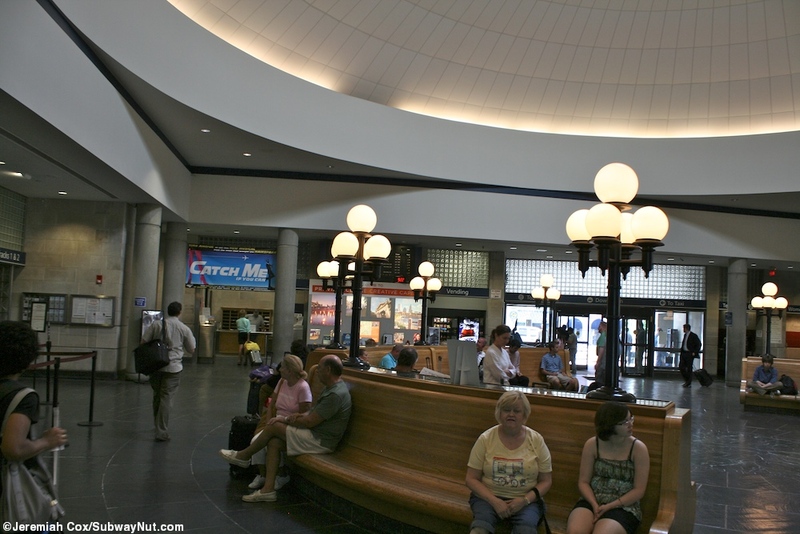 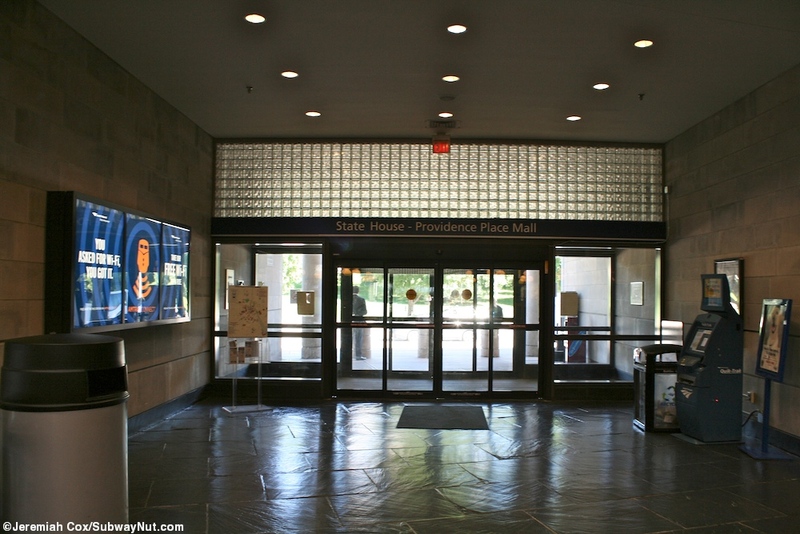 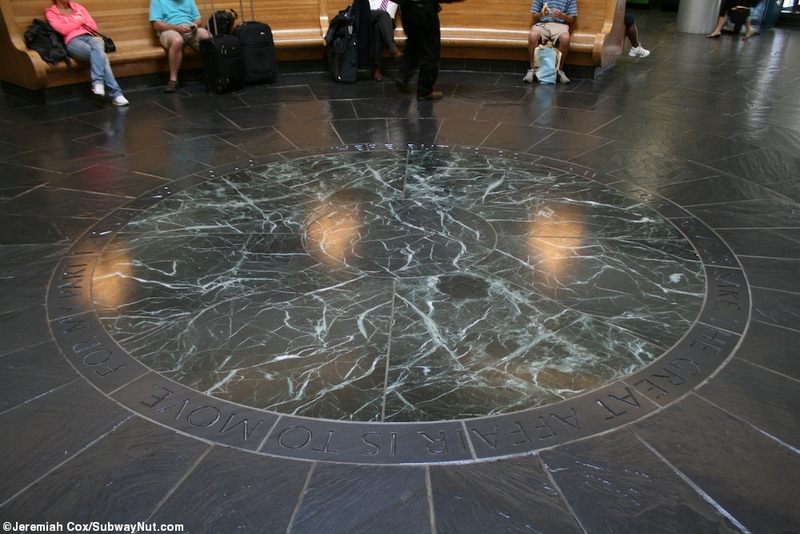 Along this circle is a bakery that sells MBTA tickets, a newsstand and the Amtrak ticket windows whose logo in the back of the office is Acelas, a Police area, seperate baggage office and vending machines. 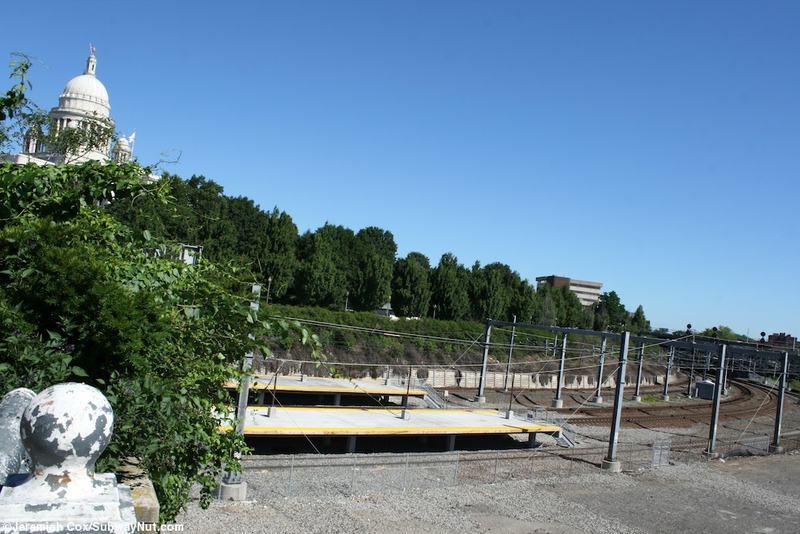 Two staircases lead down to two island platforms for the four tracks at this station. 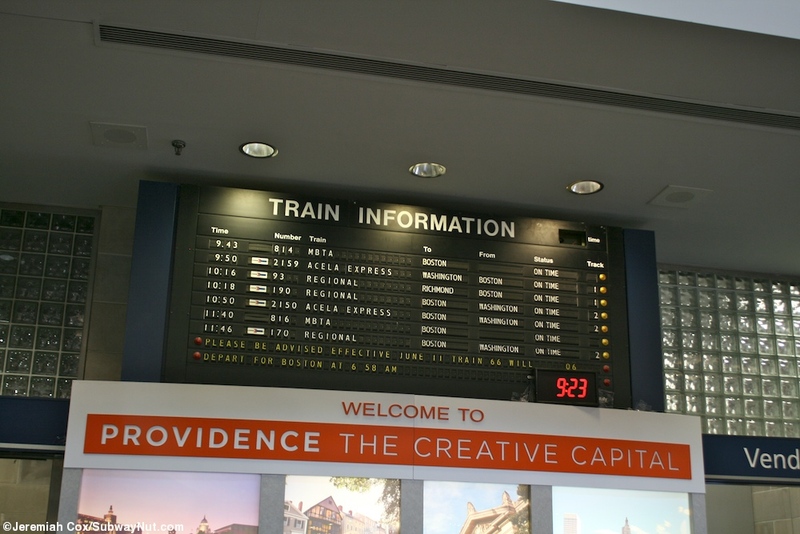 There is also a small old still-working 'flipping' train information board which displays both Amtrak and MBTA trains. 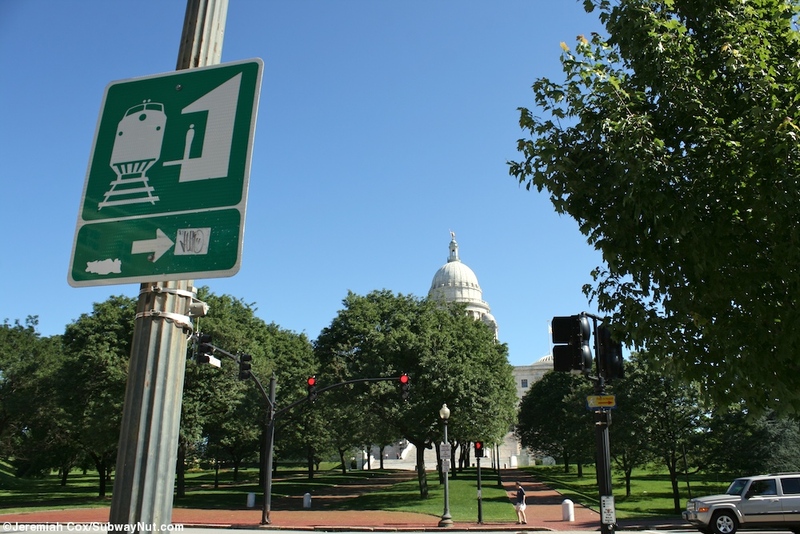 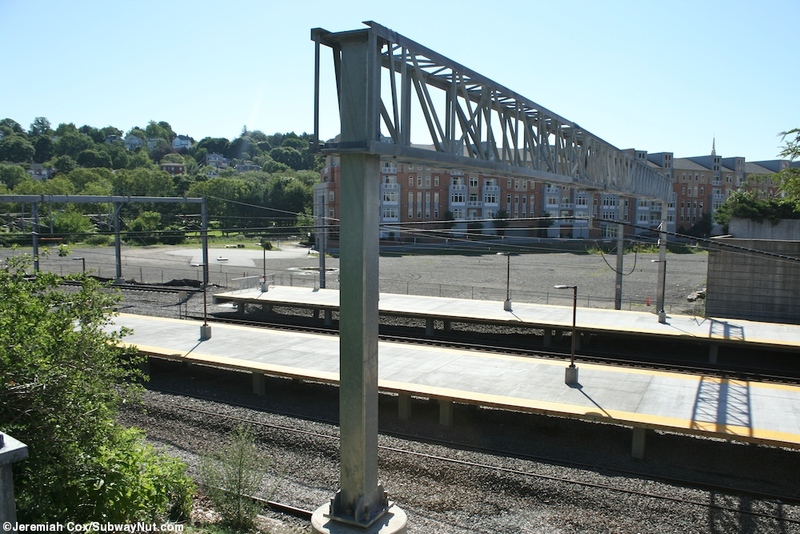 Tracks 3 and 5 are generally used by MBTA and have their signage (along with some Amtrak signage) while 1 and 2 are generally used by Amtrak and have their Acela style Location signage and LED signs that display the next arriving train.